HORSE TRENDS FOR 2019 YOU WON’T SAY NEIGH TO! Nowadays it seems trends come and go with ever-increasing regularity, and this is no different in the equine world! To ensure you and your horse have the most magical adventures around, it might be worth having a look at what’s new. That’s why, at The Insurance Emporium, we’ve come up with some of the top horse trends for 2019! Read on to find out more! Ever wanted a belt that worked with your body, closing your waistband gap and hugging, instead of pinching your hips whilst riding? Unbelts could do just that! Whilst it’s not a new brand, these super-comfy, ethically produced belts are gaining more popularity in the equine world. We can see why – you can even leave them attached to your trousers when you put them through the wash! There seems to be a growing interest in coloured horses at the moment! 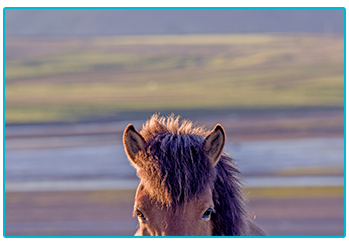 Recently, an Icelandic horse named Ellert was discovered with a completely unique coat colour – something that shouldn’t be possible within his breed! Back here in the UK, we currently have the most popular horses in the social media world, Pearl of Peace, an extremely rare horse with a completely golden coat! What colour will the equine gene pool give us next? The BETA issued a new body protector standard towards the end of 2018, meaning that anything holding the BETA 2000 logo is now out of date and won’t be accepted by riding organisations. Whilst the 2009 standard will still be permitted for the next five years, sales of new body protectors may well increase over the coming months! 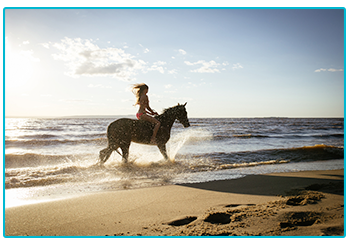 One on the wish list of many riders, galloping along a beach on your horse next to the crashing waves is becoming a popular way to exercise your equine friend! As well as being a fantastic method of enjoying the scenery of Britain’s wild beaches, working with them in the shallows might also be a great way of building strength in your horse! Whether to lunge or not has been a question that’s been debated for many years. However, in today’s world, time might often be at a premium, and it could be a great way of making sure your horse gets the maximum amount of exercise in the time available! Ensuring you have the right equipment could be key to getting the most out of lunging and might make sure your horse holds themselves correctly! Whether you’re a keen follower of the latest equestrian trends or not, the most important thing is getting the greatest possible enjoyment from your horse riding adventures! If you’re an old hand or new to the scene, it might be a good idea to consider taking out horse insurance to protect your favourite equine. 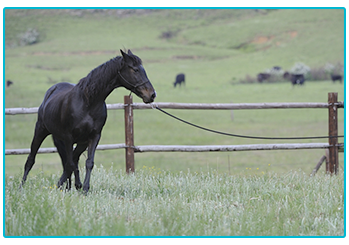 The Insurance Emporium offer up to 30% discount* on Horse Insurance. Why not head to The Insurance Emporium to find out more! * The 30% discount is made up of 20% Introductory Discount plus 10% Multi-horse Discount (if appropriate). The Introductory Discount is available for the first 12 premium payments on lunar and calendar monthly policies or one premium payment on annual policies. This blog is in no way sponsored, endorsed, administered or associated with Unbelts or BETA.